Kyushu Electric Power Company restarted the Sendai-1 nuclear reactor on Augu 11th. The procedure took place with no issues. It is the first unit in Japan to resume operation since all of the country’s commercial nuclear stations were shut down for safety checks and upgrades following the March 2011 Fukushima-Daiichi accident. 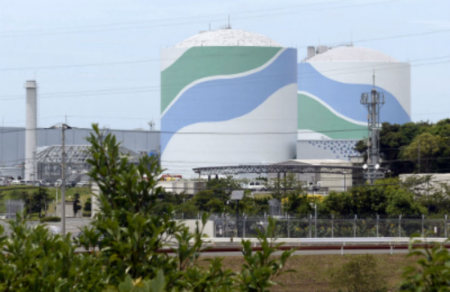 Kyushu Electric said the reactor, an 846 MW PWR that began commercial operation in July 1984, is now online and will be connected to the grid this week. It will reach full capacity some time next month, Kyushu Electric said. Bloomberg New Energy Finance base forecast in June was for 26 reactors to come online over the next three years. Japan has 43 reactors and 25 have so far applied for approval to restart. Kyushu Electric’s two reactors on Japan’s southern island of Kyushu are the first to pass post-Fukushima safety checks and overcome legal challenges. The first reactor to restart opens the door for more to follow in its footsteps. The Sendai nuclear station, in the southern prefecture of Kagoshima, has two identical reactors. Sendai-2 began commercial operation in November 1985. According to the Japan Atomic Industrial Forum, start-up inspections began at Sendai-2 in June. It is scheduled to restart in October. In May 2015 Japan’s government said it wanted to see a 20-22% nuclear share in the country’s energy mix by 2030, down from about 30 percent before Fukushima-Daiichi. The New York Times has a good political analysis of how the nuclear energy issue has played out in recent elections in Japan. So far it has not resulted in the incumbent government being voted out of power despite the efforts of anti-nuclear groups.